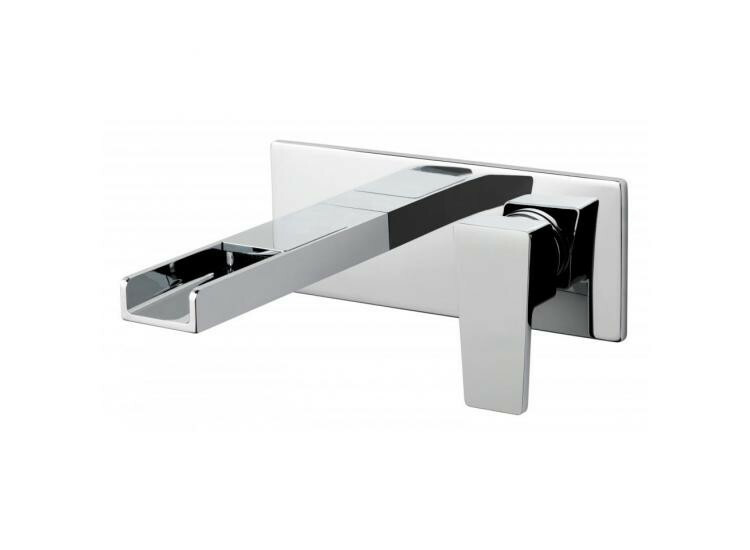 This innovative basin mixer typifies Vado's quality and invention of bathroom products. Maximising performance and reliability are essential components when it comes to basin mixers and Vado's stunning Synergie 2 Hole Basin Tap fits the bill with its contemporary single lever waterfall spout and smooth chrome finish to suit all modern bathrooms and basins. The wall-mounted basin tap will compliment a freestanding or countertop basin perfectly and will provide homeowners with a dependable, high quality basin mixer with lasting quality.